Exhibition-quality prints. Professional ink set. Representing our next generation of photographic ink technology, the all-new nine-color Epson UltraChrome HD ink set resets the standard for photographic imaging excellence. Utilizing newly developed core pigments - including a new Photo Black pigment 1.5x denser than our previous generation - the level of photographic clarity, optical density, and vibrancy represents a new benchmark for Epson. 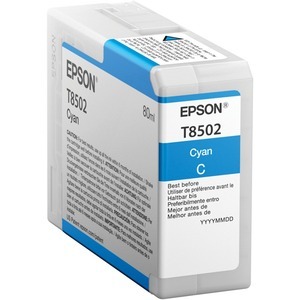 Individual 80 ml ink cartridges provide ink for production-class printing.